Exciting contrasts in form and material characterise the Tension collection by Conmoto. 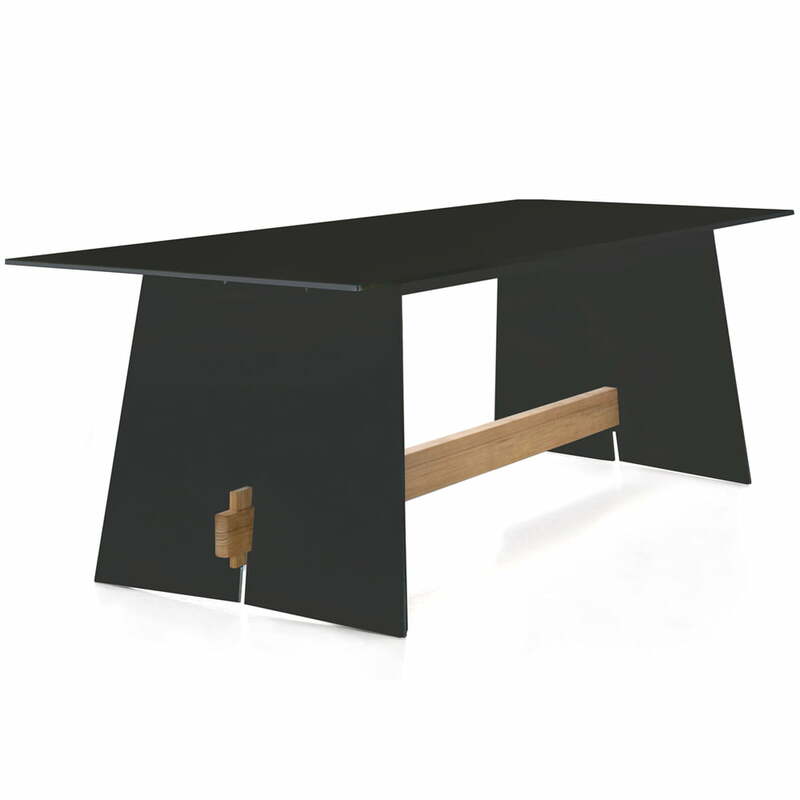 The Tension Table is a perfect example for good design which has been honoured with numerous awards. The complete series is suitable for the usage inside as well as outside. The speciality of the Tension series is the connection of dark, filigree composite material with natural, massive teak wood. The load-bearing parts and all the surfaces are extremely thin – and therefore appear reduced and modern. They are contrasted by the massive wooden bar, which is responsible for the stability and adds a rustic component to the design. The dark colours of the surface and the natural colour of the wood emphasises this contrast even more. 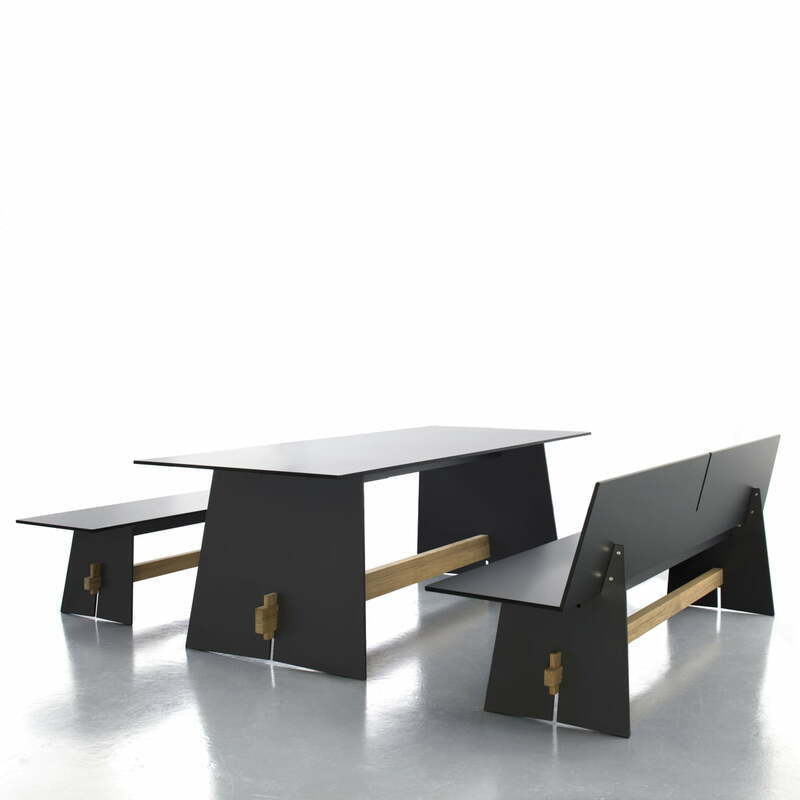 The Tension table appears imposing and yet still light– the material-mix makes it possible. Thanks to the length of 2.20m, up to ten people find a place at it. The tabletop consists of HPL resistant to scratching and acid, so that the Tension table is suitable for all contingencies. Despite the filigree table top, stability is ensured thanks to the wooden bar. The numerous design awards, with which the Tension collection has been honoured so far prove that Conmoto didn’t make any mistakes in its design; among the awards are the iF Design Award, the Red Dot Award and the Good Design Award which speak clearly. The products from the Tension collection by Conmoto are also available in further colours.